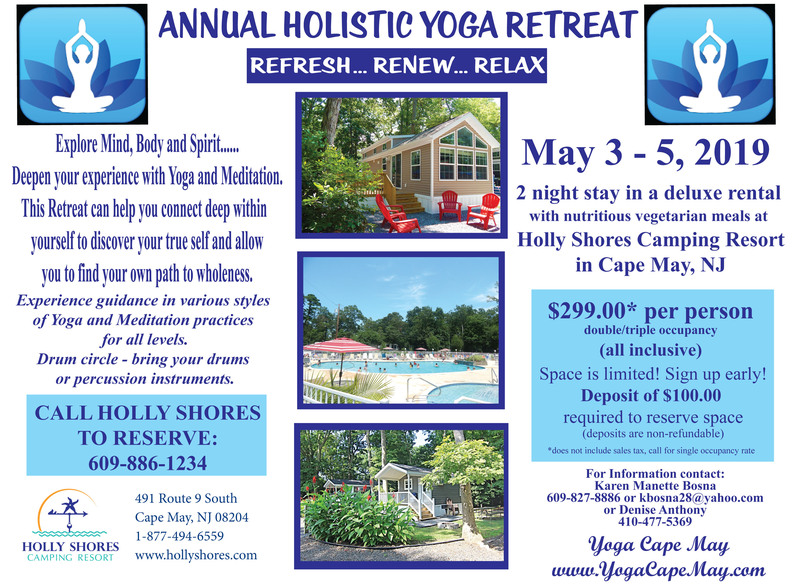 Yoga Instruction with Karen Manette Bosna "The Gypsy Yogini"
I guide/teach yoga classes all over Cape May NJ and the surrounding area and each place has its own character. There are Lots of options to choose from for both beginners and the seasoned practitioner. No need to join the gym/fitness center or be locked in to a semester style session. All classes can be purchased individually. Private classes are also available by appointment. Karen is now offering "PRENATAL" AND "MOMMY AND ME YOGA" Sessions! Call 609-827-8886 for an appointment.